Butterfield Custom Homes | Why Us? Our most important goal is to have each customer love his or her experience. Every member of our firm, from our construction supervisors to our interior designers and architects, has an alignment of purpose and understanding that our customers’ needs and desires will come before our own. We carry our responsibilities with sincere passion and energy, and we deliver on our promises. By far our most valuable asset, our team is what makes the difference. 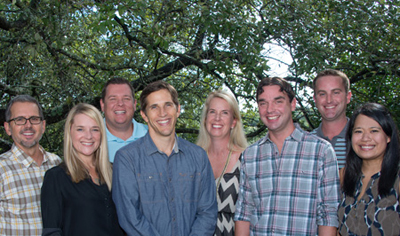 Over the years, we’ve emphasized the non-teachable qualities in selecting our team members. Each person exemplifies the raw DNA traits of leadership, character, respect and friendliness. That foundation, alongside the relevant experience and training, makes it possible to provide our clients with a phenomenal experience. The team members share common values but bring different approaches and styles to their leadership. Our clients benefit by having the additional mindshare and continuity that comes with more talent on the team. Our process is designed for the efficient transfer of information between all parties involved. We’ve invested heavily in process and technology, and utilize state-of-the-art, web-based work-flow automation for our operations. For our customers, this means easy, real time access to schedules, budgets, progress pictures, plans, and other relevant information – all of which translates into on-time delivery, on-budget execution, and happy clients. For our team, this means having all of the tools at their disposal to increase efficiency and accuracy while reducing errors and delays. Because we don’t need a large back-office support function, we’ve been able to put more focus where it belongs: in the field with our clients. We believe in a common sense, value-oriented approach. Regardless of price point, most people are not interested in wasting money. It takes experience and a keen eye for value to maximize the impact of your construction budget. Our in house designers have a wealth of experience doing just that. We also work hard to ensure that our vendors and trades provide the highest level of quality and craftsmanship for the dollar. Many of our trades have been with us since inception; their loyalty results in a responsive, can-do and fair attitude towards our team and our home owners. Just as our clients select us, we too strive to work with clients that share a common ground and attitude. We focus on not only a superb product, but also a fun journey. What results is a litany of satisfied and referenceable customers that become part of our family and some of our closest friends.